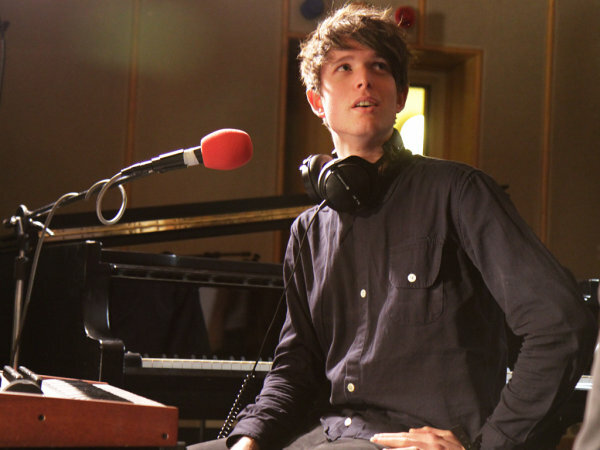 Have you heard of James Blake? His electronic song creations are blowing my mind lately, pretty experimental and unique. His debut album hasn't even come out yet and he is getting lots of buzz. Check it out and Happy Music Monday! *If you haven't heard his Feist cover, it is pretty amazing as well. If only he could pronounce water. Really how much effort would it have been to add a "t" to the word. "wa'er"...tut tut tut. I ask you. Seriously me likey! Good stuff. I love his version of Limit to Your Love. Its addicting. He's perfect! Thank you for such a brilliant morning. Thanks for introducing me to another fabulous artist! He's progressed a lot over the past year. He was a lot more dubstepp-y on his earlier stuff and his full-length is a lot more jazz and soul. And very well done. and he's a cutie too. I love his voice. Definitely has some hints of Aaron Neville (which my Mum loves). Really unique.. will go check the Feist cover here in a sec (love Feist!). I really love your blog; you always have something new, interesting and great to share! So excited to see this--been obsessed with James Blake for several months now. Love!